Practice Countries Vocabulary using this Wheel of Fortune Game. This educational game is also excellent for classroom teaching. Teachers can engage students in a classroom vocabulary review for elementary ESL, EFL Learners. It can be used to energize a dull class, to review work that was done or simply as a reward for good classroom work. The game uses the flags of different countries to help students identify. This game is a step up from the low countries in the world. It also introduces continents. It would also be useful in a lesson on Olympics, sports and Geography. 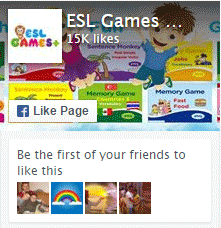 Have fun teaching and learning English with this game.